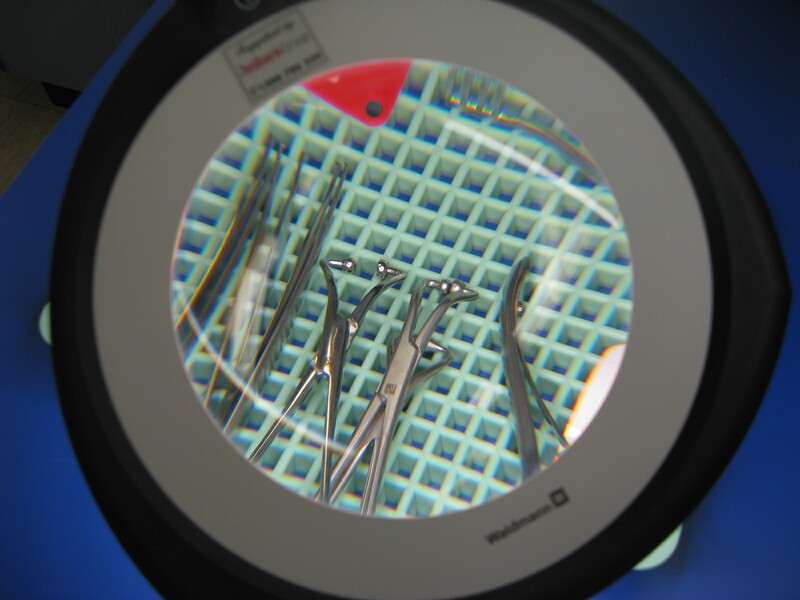 These magnifiers made by Waldmann – Germany, were supplied by Redbank Group to assist staff in the inspection of surgical instruments before/after cleaning and sterilisation. The wide 150mm diameter glass lens gives optimal viewing area and the dimming from 100% down to 10% is ideal for reducing reflective glare when inspecting the stainless steel surgical instruments. 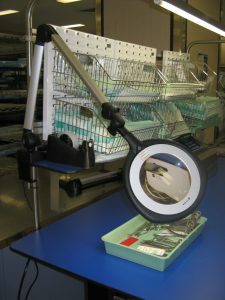 Redcliffe Hospital have 4 Tevisio magnifiers and have the additional clip on lens that increases magnification another power from 2 x to 3 x.